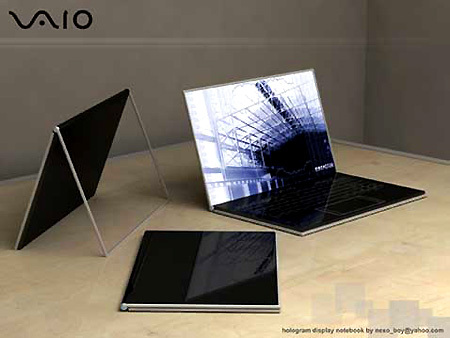 We have seen the future of laptops, and it’s the Sony VAIO Zoom. Sleek and stylish, this device features a touch-sensitive keypad, as well as a holographic glass screen. Click here for one more picture.